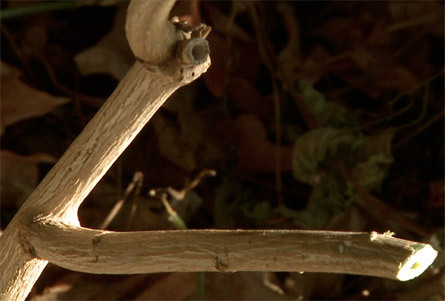 Pruning injures plants and reduces the leaves they have to generate their own food and grow. So there should always be a good reason before doing it. But new or impatient gardeners often leave plants to grow so large and unruly that discipline becomes the reason to prune. 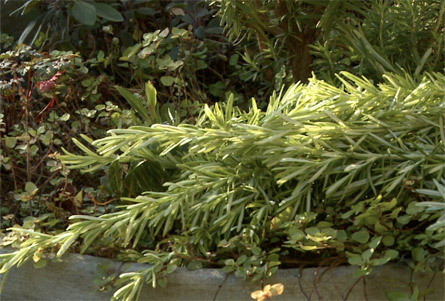 A better approach is to raise well-behaved plants, trained over time to the right shape and size with light and regular pruning. 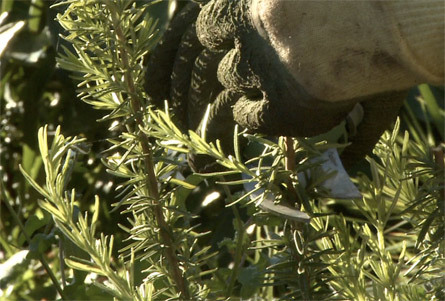 Start formative pruning early, especially with shrubs. Create a miniature of the general shape you want the plant to become, cutting back wayward or dominant stems to the canopy and pinching the tips off others on newly planted acquisitions. Very small plants can be left until they've established and sprouted new growth. Strong upward shoots only become more dominant, over-shadowing and out-competing the rest of the plant. Cutting them back re-distributes resources into more buds developing as side-shoots from within the canopy; creating a fuller, more balanced plant. Keep this up as part of ordinary garden maintenance. For many plants it's enough to dead-head annually by clipping to a little behind the flowers soon after they've finished - or wait until after fruiting. Tidy up and encourage bushier growth at the same time. Faster-growing plants will need further trimming through the year. Pruning away old, dead stems is an easy way to make the garden look tidier as well as clear the way for new growth to come through. 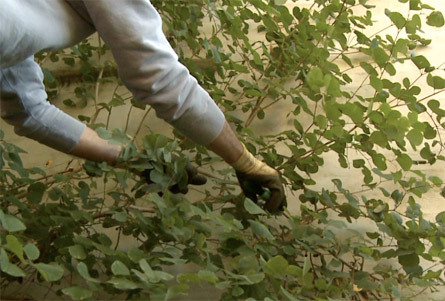 Tangles of climbing vines can also be cleaned up, with long thin stems brought back to fat buds that will shoot stronger, more productive stems over the next season. The cause of diseased plants should be diagnosed but the affected areas can be pruned back to healthy shoots and discarded. Sculpting plants into hedges and creative shapes like topiaries and espaliers is more skilled but another good reason for pruning. Again, start early and do it regularly for better results. More drastic cutting will mean bigger wounds, wider targets for infection and greater shock to the plant. A bumper harvest – whether on a large or small scale – is not a low maintenance project and depends on rich, well-drained soil and plenty of sun and water.